One that works, of course. But as silly as that may sound, there is not a single one-size-fits-all product that we can say “the best.” Besides, preference and your skin type are contributing factors. Plus, there are a variety of cleansing oils out there, and they differ in ingredients, consistency, and even the form that they come in (e.g., gel, balm, and lotion). So… which cleansing oil should you choose? First, for people with sensitive skin, the “best” product is one that is fragrance-free. You want a cleansing oil that’s devoid of any synthetic fragrances that can potentially harm your skin. The keyword is “synthetic,” so don’t be surprised if you can still smell the odor of some natural ingredients (e.g., butter) in your favorite brand of lotion. Note also that there is a difference between the terms “fragrance-free” and “scent-free.” A scent is added to a product for the intention of masking other smells. That said, just because an oil is “unscented” doesn’t mean it’s fragrance-free. To be really, really sure, take this list of 26 fragrance chemicals identified by the European Commission’s Scientific Committee on Consumer Safety, and one by one, check that the cleansing oil of your choice doesn’t have them. Second, here’s a list of face oils that experts say are good for sensitive skin. Look for these ingredients if your skin stings, itches, and reddens easily. These oils have properties that help soothe and heal the skin, treat damaged skin, repair inflammation, and protect the skin in harsh weather. The proper way of using cleansing oils is to practice a double cleansing routine that involves these two steps. 1. The first one is applying a cleansing oil onto the face and massaging it for a few minutes. In theory, the oil binds with the skin’s natural oils and other impurities (such as makeup residues) to make it easier to get rid of them. This step ends when you rinse your face with water. 2. Next, cleanse again, but this time, use a foam cleanser. You can use your favorite brand of facial brush for this step. Here’s a video that shows you how it’s done. 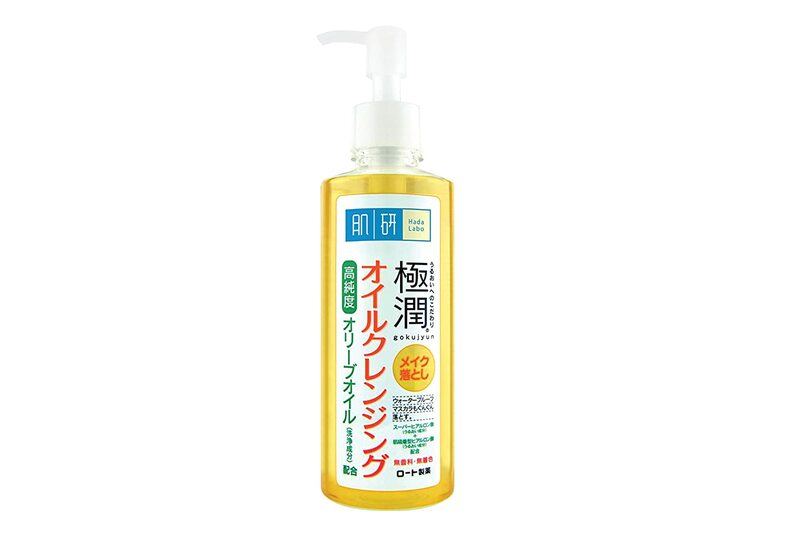 One of the most popular out there, DHC Deep Cleansing Oil is an olive-oil based product. For a long time, olive oil has been used as a beauty remedy, particularly as a moisturizer. It is high in antioxidants, and it has anti-inflammatory properties to soothe your skin. A product of Japan, ROHTO Hadalabo Gokujun is another olive-oil based product. Aside from olive oil, it also contains jojoba seed oil, which as an emollient, helps keep the skin moisturized and its oil levels balanced. Another cleansing oil that originated in Japan, the KOSE Softy Mo White Cleansing Oil is both fragrance- and color-free. It contains rice bran oil, mineral oil, orange oil, sunflower oil, rose hip oil, jojoba seed oil, and apricot kernel oil. TAO Clean Facial Brush Review – Yay or Nay?